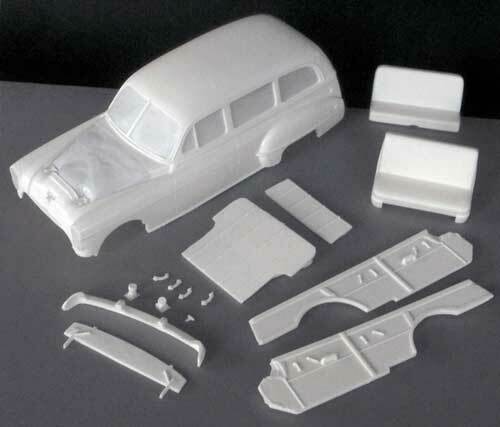 Cast in white / ivory resin, these parts will convert the Revell 1950 Oldsmobile Club Coupe into a wagon. This 16-piece highly detailed kit includes a very accurate Body, Front Seat, Rear Seat, Rear Cargo Floor, Interior Side Panels, Interior Tailgate panel, Exterior Door Handles, Taillights, Rear Bumper, Rear Bumper Filler Pan and a T-Handle for the exterior back window frame. Kit is available at Best Model Car Parts.